We know that when we can integrate curriculum across the content areas, the benefits for our students are amazing! However, coordinating integration across multiple subjects can be quite an undertaking. That’s where Spiral Studies comes in. We’ve combined our expertise to make absolutely turn-key integrated units for you and/or your team. 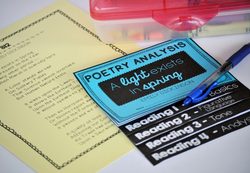 We make it easy for teachers to connect the subject areas by planning and developing cross-curricular units, lessons, and skill packs for grades 6-8. We do all the prep work for you! ​Your teaching team can just print and integrate. English & Language Arts courtesy of Mary Beth, of the awesome "Brain Waves instruction"
Social Studies, brought to you by Andrea, the brains behind the popular "History Gal"
... and Math, provided by Brigid, the creative mind responsible for "Math Giraffe"
Together, we form the team known as "Spiral Studies." We believe in integrating the content from these 4 core subject areas, and we work to connect the concepts throughout seamless cross-curricular units to make it easy for your teaching team. As teachers, we all know we SHOULD be integrating our curriculum, but the time and effort of all the collaboration that's required is overwhelming, even for the most incredible middle school teams. So, we do the meetings, the planning, and the lesson creation for you, so you can devote your time and energy to what you love most: teaching! Our integrated skill packs focus on the basic skills that we can never get enough of in middle school. Each set includes doodle notes plus active stations to learn and practice the skill within each subject area. For example, students explore how studying can look different in math than in social studies, but the basic study skills cross over between the content areas. When each member of your teaching team takes a class period to dive into these, you'll show students how the connections and the differences can help them. You will also send a clear message that you all value these skills in each of your own subjects. 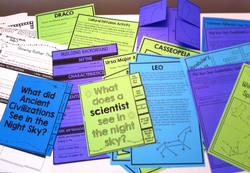 Our mini-units cover the standards that you need to teach in each classroom anyway! But they add a twist. We offer connections between the subject areas, a pocket folder system to travel from room to room and keep everything together for each student, culminating activities to bring it all together, and tons of links between the content that is covered separately in each room.